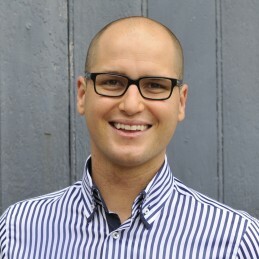 Michael McQueen is an Australian-born speaker, social researcher and bestselling author. Coming from a background in marketing and research, in 2004 Michael founded a consultancy specializing in demographic shifts and social trends called The Nexgen Group. Michael’s first book The ‘New’ Rules of Engagement was the culmination of a 3-year study of the key drivers of youth culture around the world. With an emphasis on the values and attitudes of Generation Y, this 2007 release was designed to help business leaders, educators and parents better engage with younger generations. In 2009 and 2010, Michael went on to release a range of gift books called Memento and Wisdom which were designed to bridge the generation gap in families by helping parents pass on their stories and life lessons to the next generation. Building on the international success of this giftbook range, Michael recently created an online memoir-writing app for parents called Histography.com. Michael’s latest book Winning the Battle for Relevance is a landmark title that explores why even the greatest businesses and institutions become obsolete and how others can avoid their fate. Drawing on research looking at over 500 of the world’s most iconic brands, Michael outlines a game plan for organizations and businesses who are committed to staying ahead of the curve by re-inventing themselves before they are forced to do so. Having spoken to over 200,000 people across 5 continents since 2004, Michael is known for his engaging, entertaining and practical conference presentations. He has shared the stage with some of the biggest names in the business including Bill Gates, Whoopi Goldberg and Larry King.